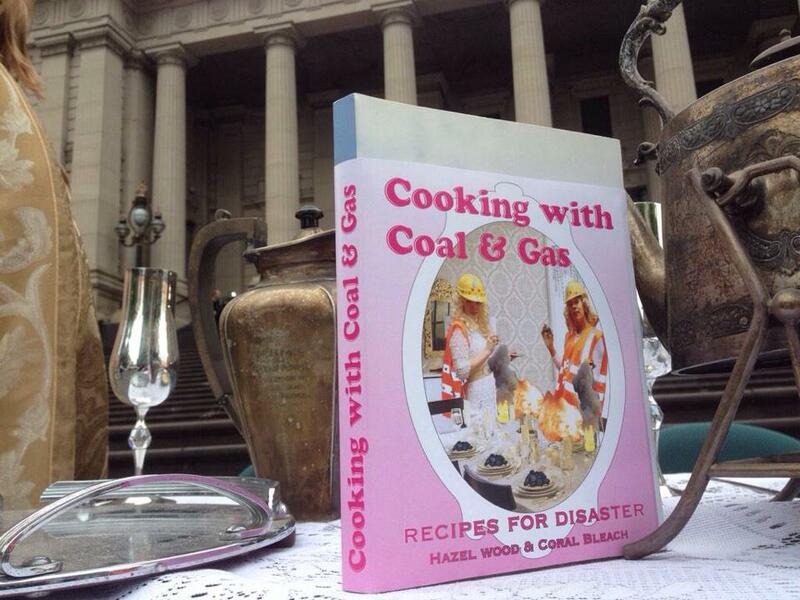 The Coal Diggers – Coral Bleach and Hazel Wood launched their new book ‘Cooking with Coal & Gas: Recipes for Disaster’, at a champaign breakfast the morning before the Victorian State Election 2014. 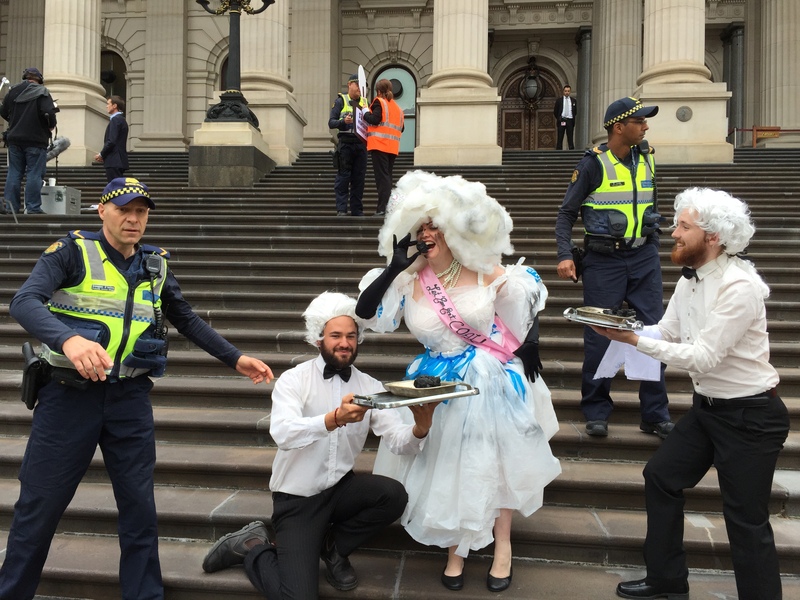 The Coal Diggers will frack with everyone. 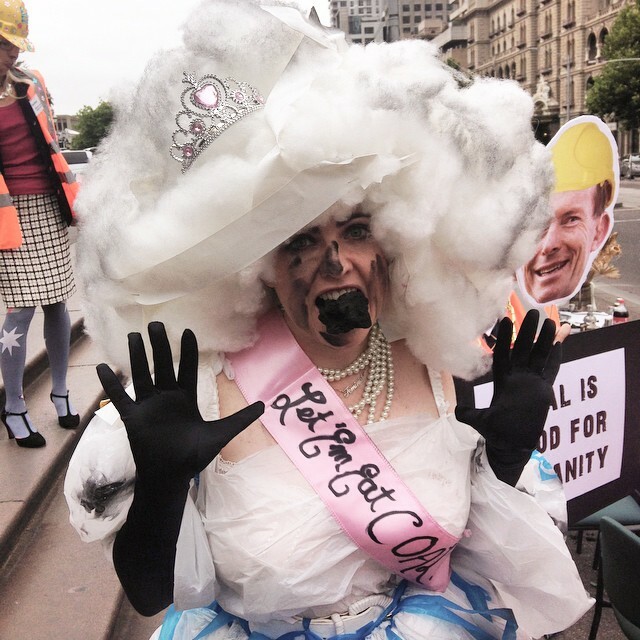 During the election campaign the ALP refused to rule out new coal & gas projects, meaning that the B.U.M.S. have still won the election! Hence the pre-election celebrations. 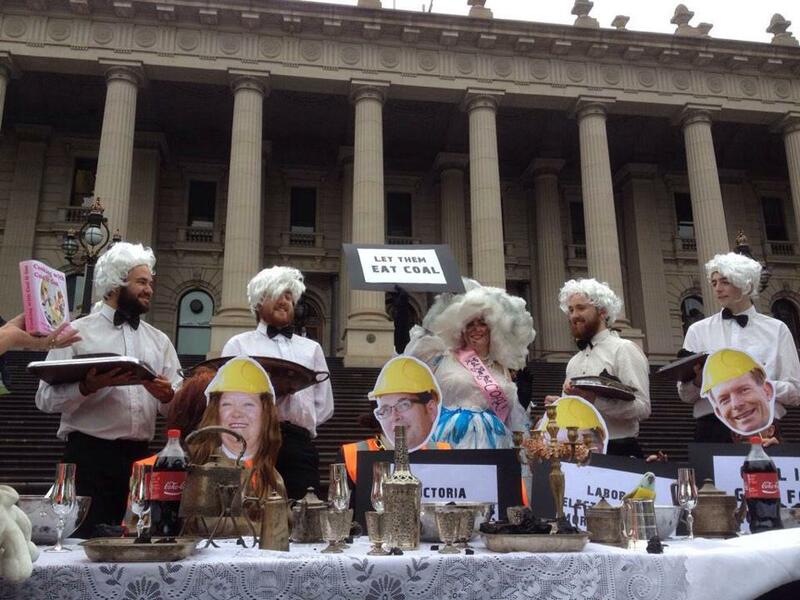 All the barons came to our table today and ate our dirt, because our dirt tastes the best! The Exploited Youth (The XY’s) did an excellent job waiting on the Billionaires United Mining Services (The B.U.M.S.) 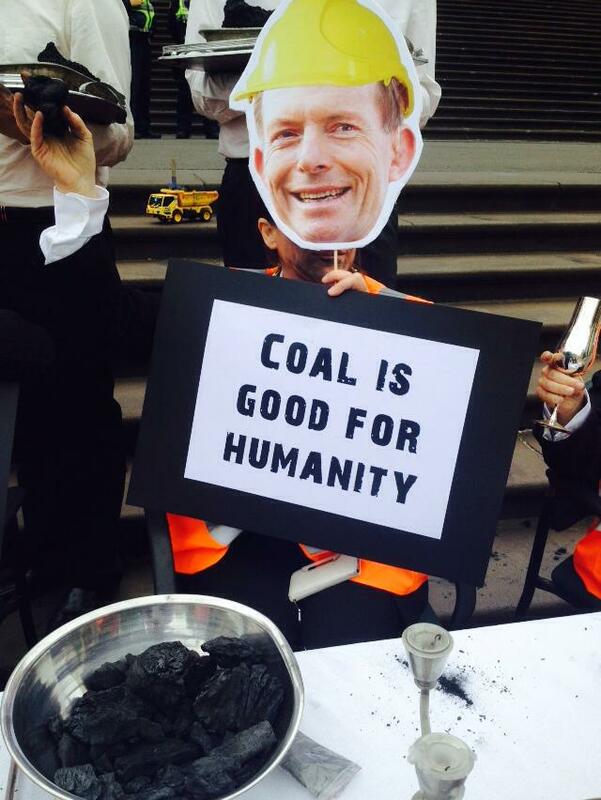 hand and foot, despite the occasional unruly entitled billionaire throwing a lump of coal in their general direction. 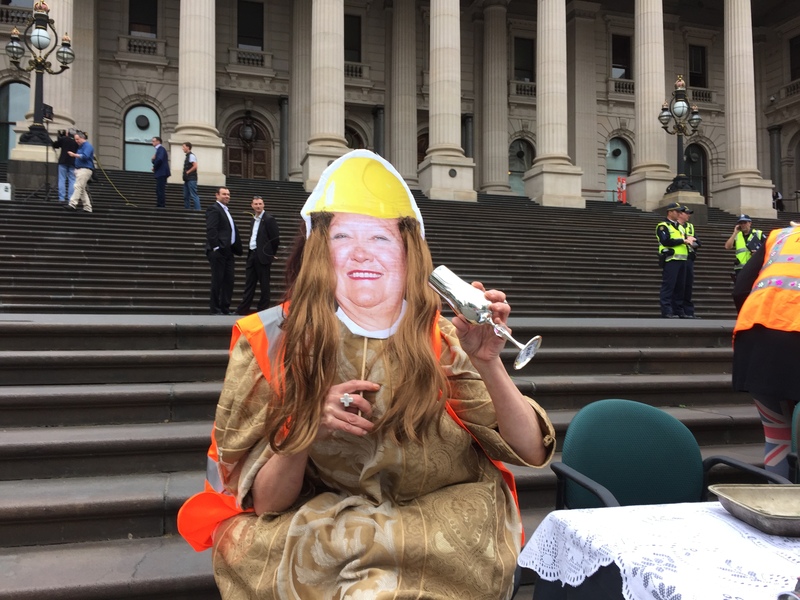 The Ghost of Industrialization Past made a cameo to give her blessing to the proceedings. 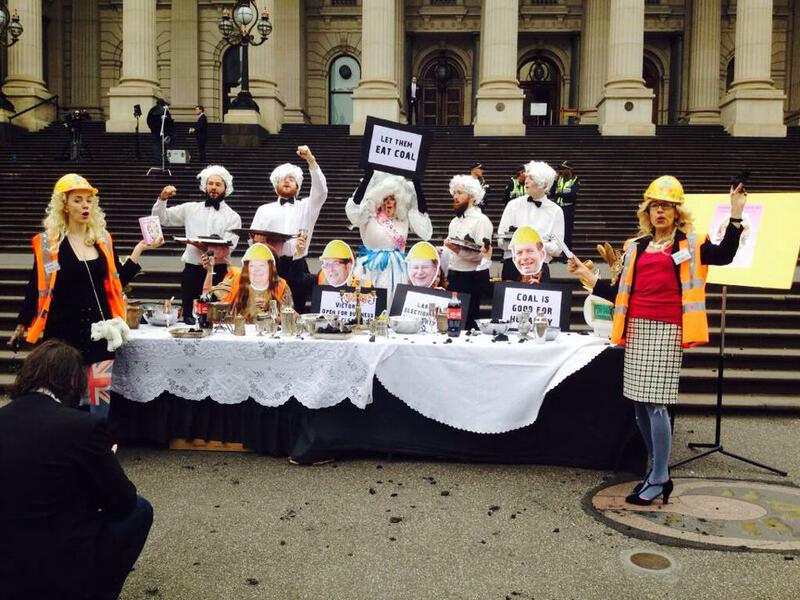 Tony and Gina came to the ‪#‎coalparty‬, because they love a good coal shafting of the ABC in the morning. 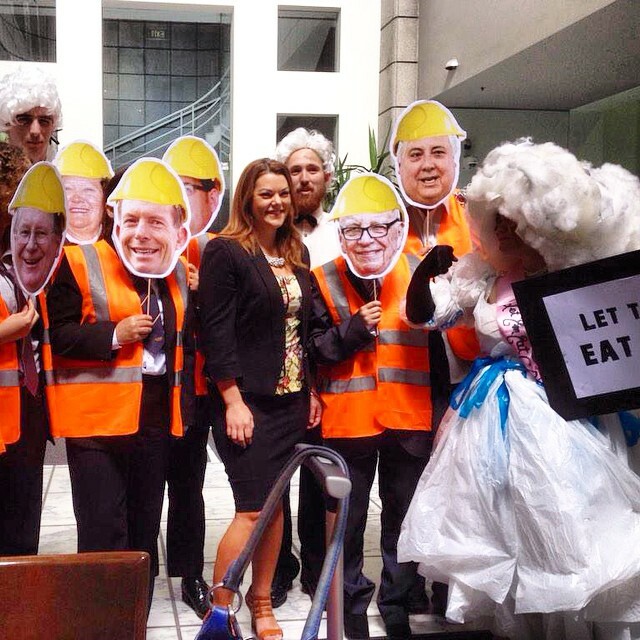 The media were at the ‪#‎coalparty‬ with all the big wigs and even bigger wigs. Those dastardly greens! 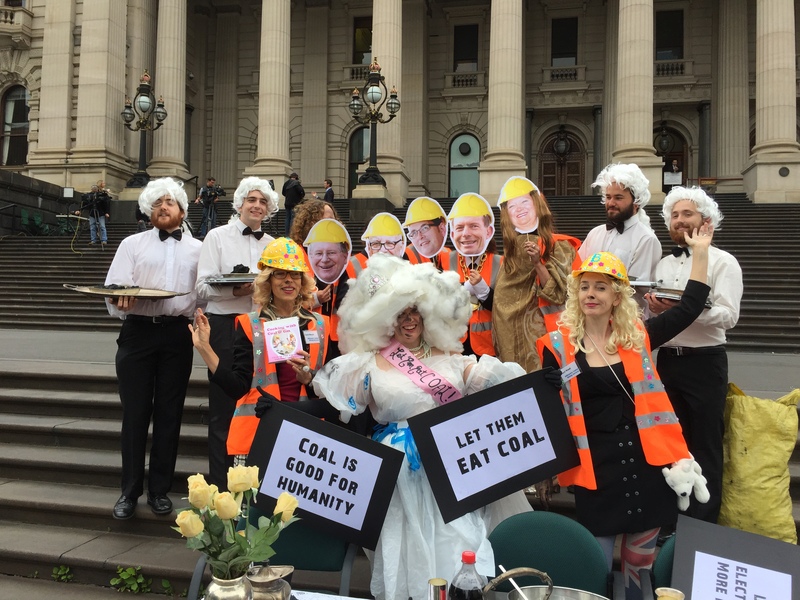 Challenging our coal-normativity! 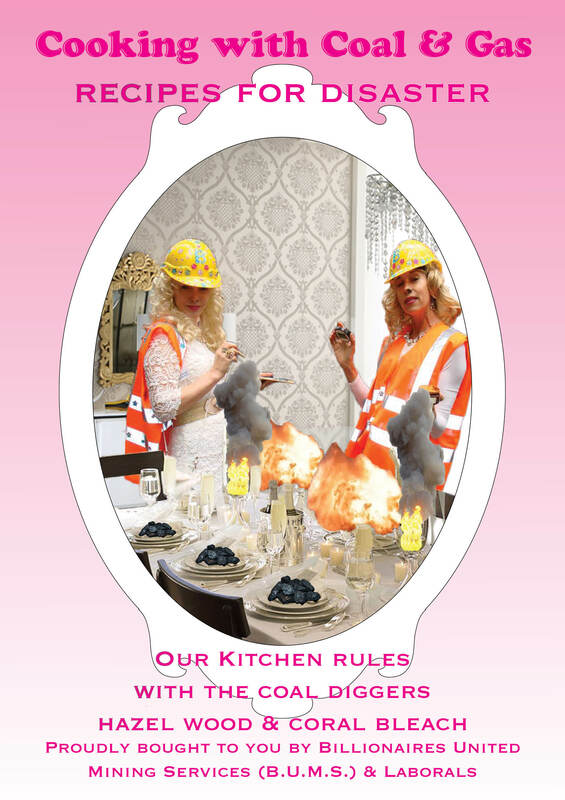 The Coal Diggers new cook book, you’ll die for it, if it’s the last thing you do.